Vaulted cross-action shafts. Marks on top of shafts at 2.5mm and 5mm. Very fine Utrata style tips. Round handle. 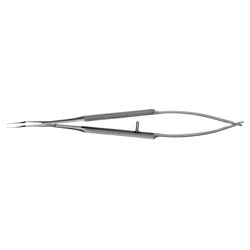 Overall length: 119mm.